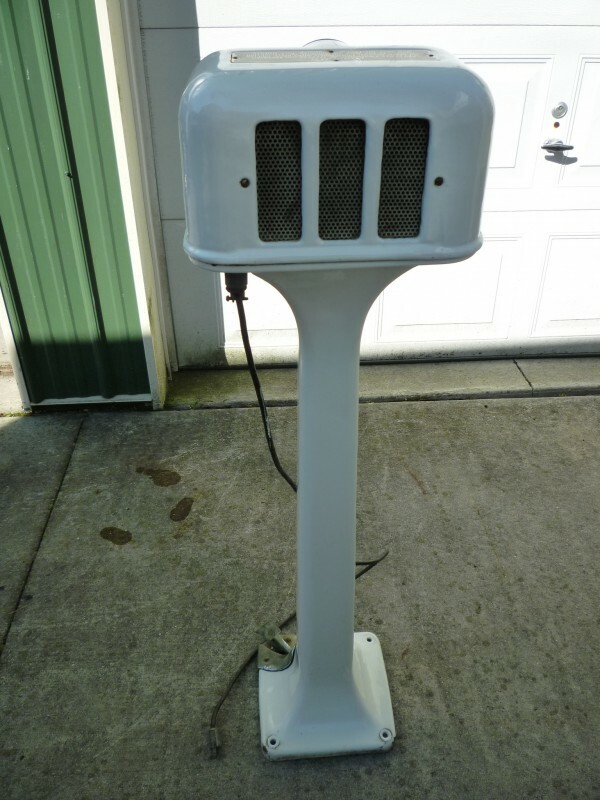 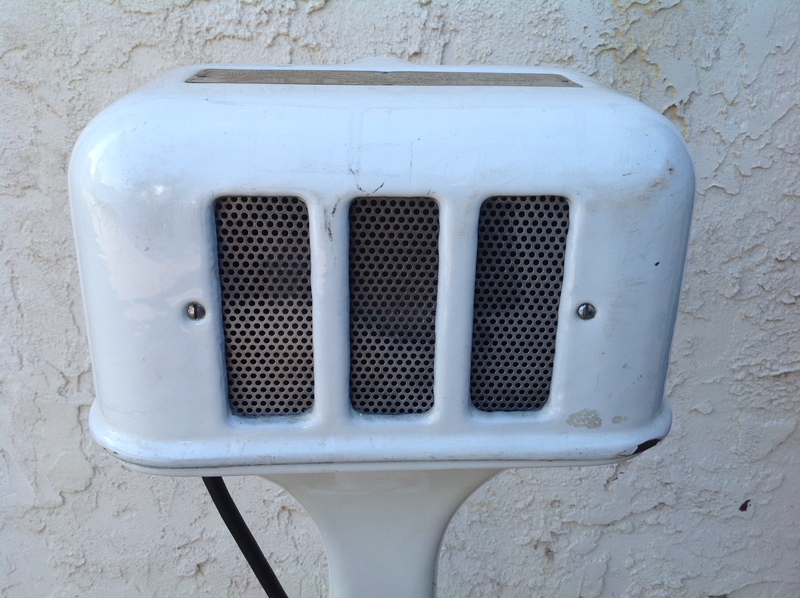 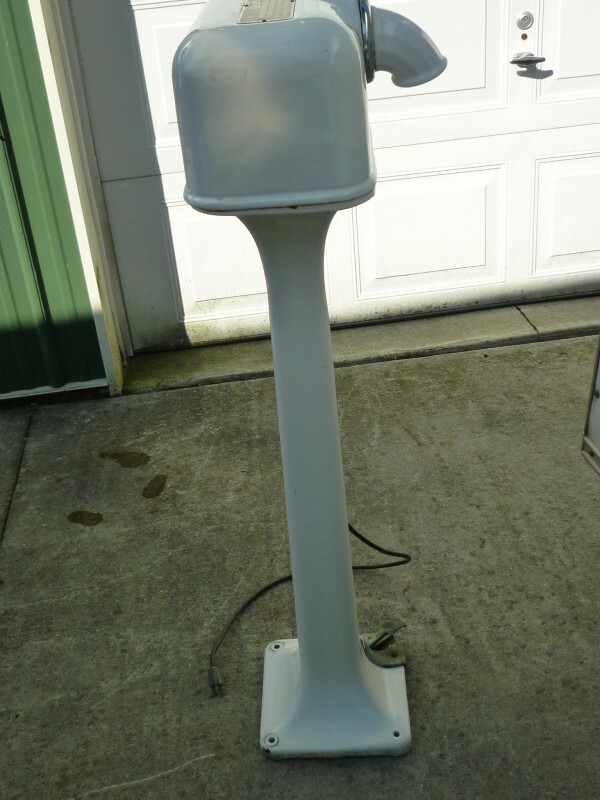 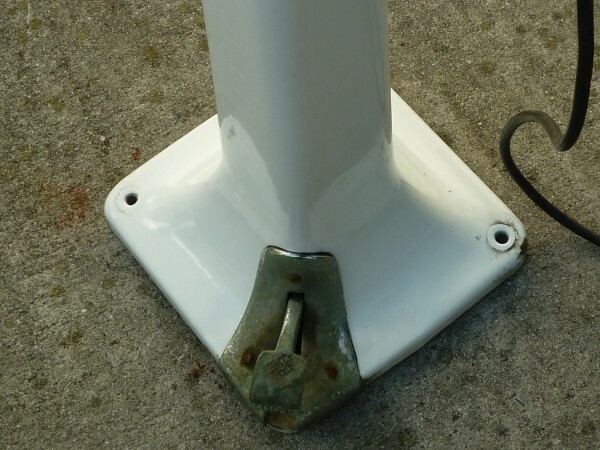 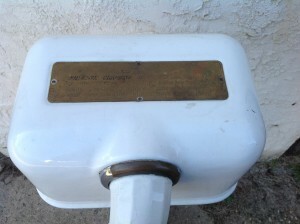 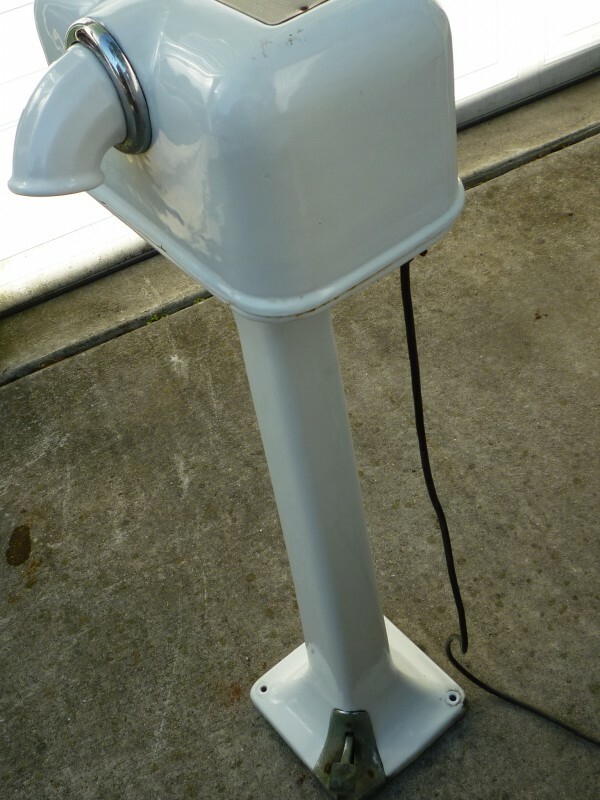 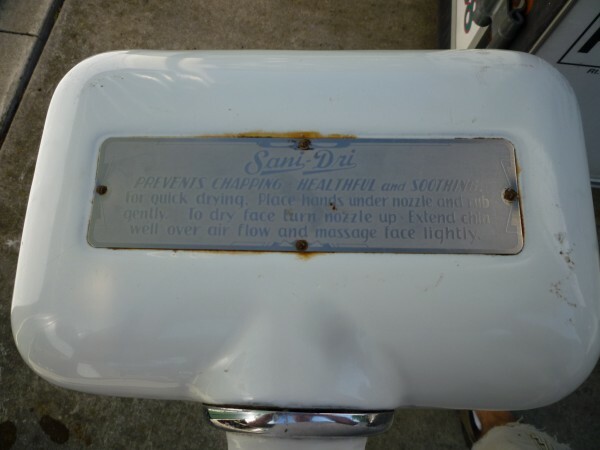 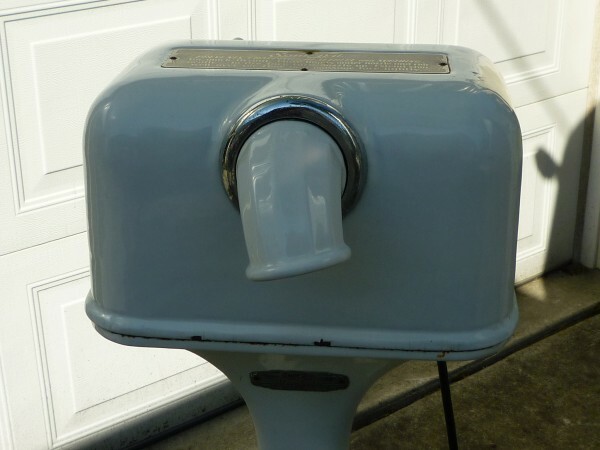 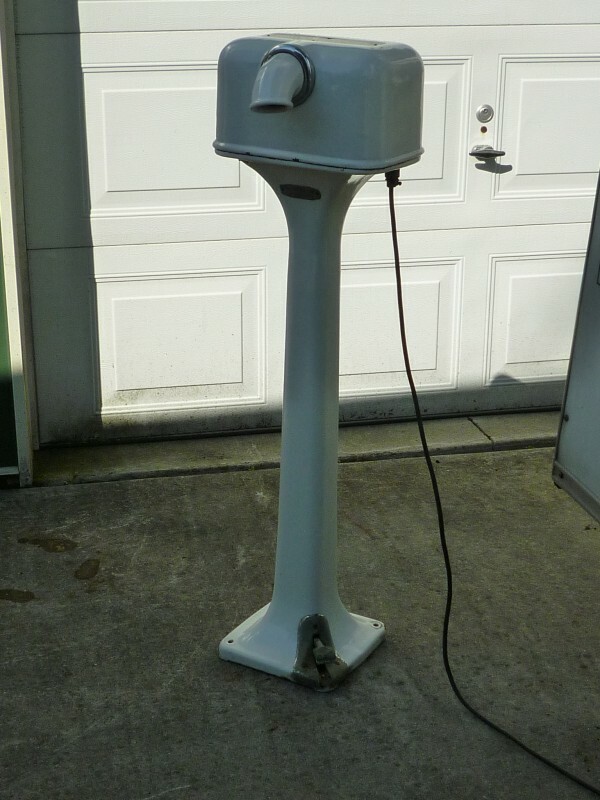 Sleek, 1920’s porcelain hand dryer in working condition. 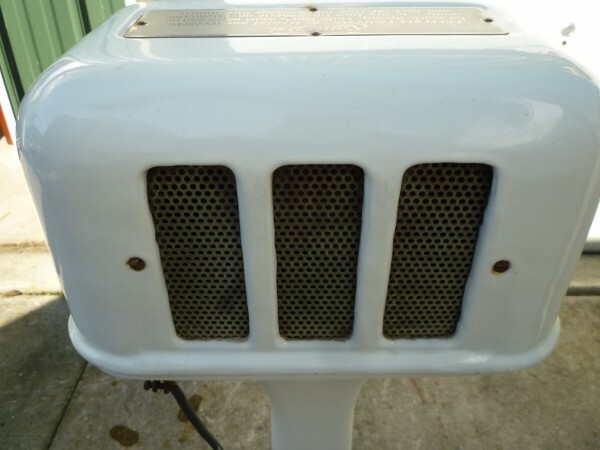 Step on the pedal and hot air is delivered. 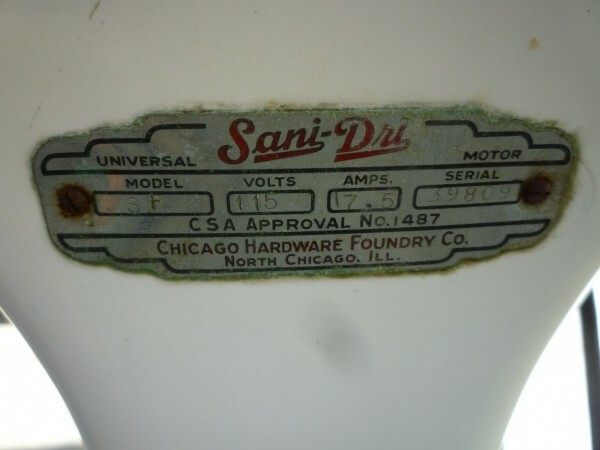 Just like the new one’s of today but this beauty has age. 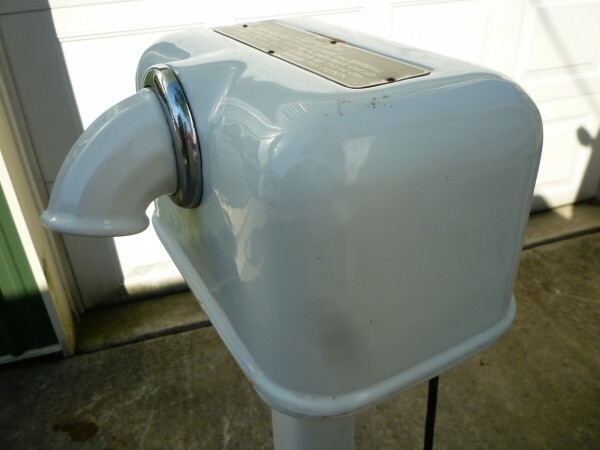 Will fit nicely in the bathroom or powder room…………..